We started our meeting with a very short EGM to confirm Peter Carrigan as Vice Chair of U3A Todmorden. Peter will continue to be our Speaker Finder so the need for someone to join his team & share the load is more pertinent. 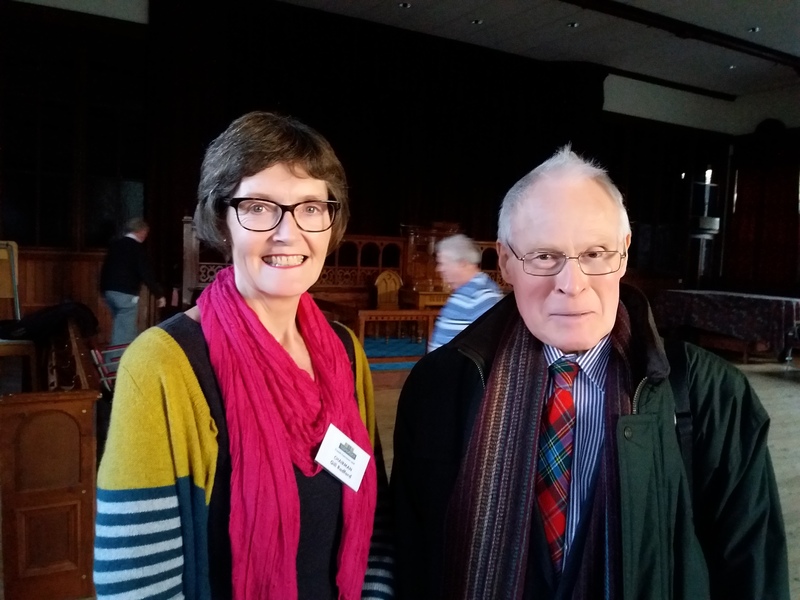 On behalf of U3A Todmorden, Committee and members, thank you very much Peter for volunteering to take on this highly significant role, it means our future is safe for a few more years at least. More and more of you are hearing about Beacon. It is the name of a new, central computer system and we have successfully completed or almost completed the migration of our administration records to this national system. We have also created some U3A Todmorden e-mail addresses so that Committee members don’t have to use their personal addresses. We just need you to make sure you continue to receive U3A emails, by adding the new contact information to your address book or safe senders list. Those with email should already have received a message giving you the addresses. Whilst there are bound to be some teething problems with any new system I am pleased the Committee is managing to adopt and adapt with a general feeling of optimism. When we are confident in our use of it there will be meetings, initially for Convenors of our Special Interest Groups, to instruct how to use the system. As a consequence, this does mean that Peter Gibson, who not only set up the original administration system but who has been responsible for maintaining and responding to problems as they arose now considers himself redundant. Whilst Peter has made it clear that he does not want thanking, I feel it would be most remiss of us if we didn’t acknowledge all the time, work & effort that Peter has tirelessly committed to this on our behalf. 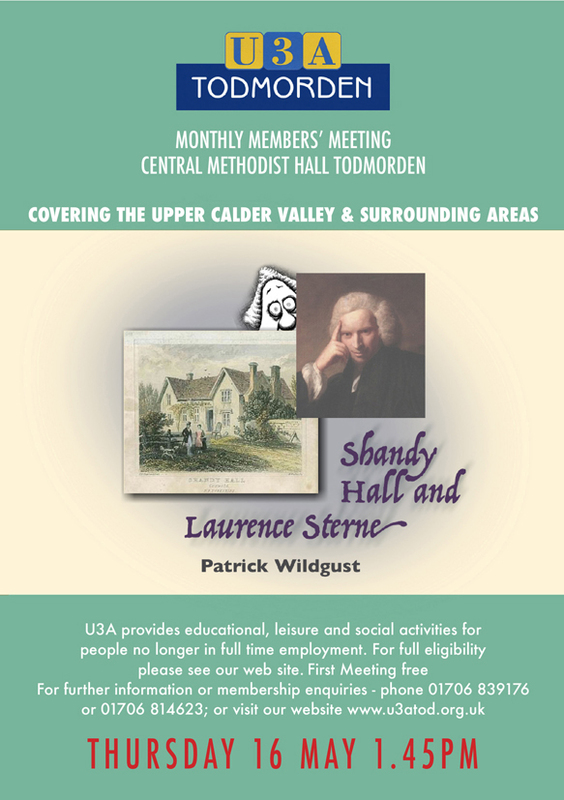 I would also like to thank the publicity team whose efforts have been recognised by another U3A in Yorkshire due to their leaflet promoting U3a Todmorden being very much admired at an Art Appreciation Meeting recently. Thank you Nick, Ant, John, Alan & Gail for your work in encouraging retired and semi retired people to join us. I have another thank you this time to one of our newest members. Janet Rawlinson who only joined us in July not only impressed the North West Region Trustee, Gill Russell, with her enthusiasm for U3A but she has volunteered to take on the role of Almoner for us. This means that should members be ill or in need of sympathy, please contact Janet janetkoe@yahoo.com with the details and we can make sure to send an appropriate card from the membership. Thank you everyone for pulling together. It means a lot. 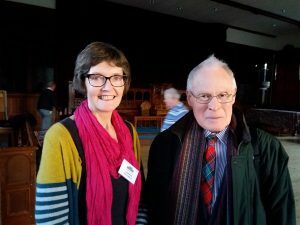 Robert McMillan was our speaker this month and gave a most detailed and fascinating talk about Teasels used in the Woollen Industry and The Teaselmen who grew and supplied them. Millions of teasels per year were used in the process of finishing woollen cloth and the proceeds from this business were used to finance the building of many magnificent local buildings such as Todmorden and Rochdale Town Halls. For those who doubt the importance of the (no longer humble) teasel, do look out for the Cloth workers Coat of Arms and emblems carved into University of Leeds Textile Department where the teasel can be seen. Next month’s meeting will take place on 20th December when we will be entertained by Brass Band music and our traditional Christmas Quiz, courtesy of Myrna and the Quiz Group. I know not whether Ernie has pinched Alison’s mulled wine recipe for us to taste but no doubt we will have some festive delights to remind us that Christmas by then is almost upon us.